Our democracy depends on journalists who can cut through the noise and find the information upon which the public relies. Journalists are trained to report deeply, behave ethically, and write clearly and compellingly. News platforms, both print and digital, are changing rapidly, yet the heart of journalism — fact gathering, observing, writing and editing — remains the same, whether you’re composing a multimedia slideshow or a page-one feature. The UNH journalism program teaches you to ask questions that elicit significant answers, to simplify the complicated and to use the digital tools needed to thrive in newsrooms. Most importantly, the program teaches you to become a great storyteller. Why study journalism at UNH? The UNH journalism program is respected nationwide for turning out highly trained professional writers and editors. From the first week of your first journalism course, you’ll be out reporting and writing, eventually practicing other skills such as using social media to share stories, shooting video and still photography, editing copy and writing headlines. You’ll have the opportunity to pursue internships with multiple media outlets. Our study-abroad programs let you study at Cambridge University and in London. Additionally, the Donald Murray Visiting Journalist Program brings accomplished journalists to campus for weeklong residencies during which they lecture, conduct classes and work with students and student media. In our digital age, the ability to evaluate, edit, package and communicate information has become crucial to many, if not most, careers. Founded on the study of literature, the oldest form of story-telling, our English/journalism major prepares students for success in the media or any vocation that requires strong research and communications skills. Learn the basics: interviewing, fact gathering, verification, and writing in both news and feature styles. Then broaden your repertoire by producing stories for digital platforms using audio, photo, video and data visualization. English/journalism majors must complete ENGL 401 First-Year Writing before taking the first journalism course, ENGL 534 21st Century Journalism: How the News Works. After completing ENGL 534 21st Century Journalism: How the News Works, majors may move on to ENGL 621 Writing and Reporting the News I. Students must get a B or better in 621 to go on to ENGL 622 Writing and Reporting the News II and ENGL 631 Introduction to Digital Reporting-both courses are required for the major. This must be completed with a minimum grade of C. ENGL 419 Introduction to Literary Analysis is the only 400-level class that may count towards the English Literature major. ENGL 403 Exploring Literature, ENGL 415s, "Literature and..." courses, and ENGL 444s will NOT count towards this major. Because media outlets expect even entry-level staff to have an area of expertise, English/journalism majors must take a three-course concentration in another field, such as sociology, German, environmental science, criminal justice, or other English disciplines (e.g., African American studies). Courses taken for a minor will count toward the three-course concentration. Other courses may count. Please see your advisor if you have questions about other courses that might fulfill this requirement. Certain courses publish student writing digitally, at times in collaboration with professional news outlets. Students are also encouraged to write and edit for student publications such as The New Hampshire and Main Street. Beyond these requirements, majors work at one media internship for a semester (ENGL 720 Journalism Internship). Students must get a least a B in 621 and permission of the 622 and 631 instructor to do the internship. A faculty member supervises the internships, which are central to the English/journalism major, requiring students to use their new skills in a professional environment. English/journalism majors may use one major-required course to satisfy one Discovery category requirement. Majors entering the department in Fall 2012 and beyond may only count one online course toward their English major requirements. Students interested in the English/journalism major should see Carla Cannizzaro, coordinator of the Department of English, 113 Hamilton Smith Hall, (603) 862-1313, or the director of the Journalism Program. For all of you who fear that Twitter and Facebook and blogging have replaced the need for professional journalists, think again. Because so much information inundates us every day, there is more of a need for journalists than ever. As professionals trained to recognize what’s important, report deeply, behave ethically, and write clearly and compellingly, journalists perform the essential task of deciphering the information upon which our democracy depends. What have changed are the mediums used to deliver news. How strong a role traditional newspapers and magazines – or radio or TV for that matter – will play in the future is anyone’s guess, but what is clear is the need for journalists to provide the stories that help us understand our world. The heart of the work – the interviewing, fact gathering, observing, writing, and editing – remains the same whether you are composing a multimedia slideshow or a Page One feature, and it is upon those skills that the UNH Journalism Program is built. We will teach you to understand news. We will teach you to ask the questions that will elicit answers. We will teach you to simplify the complicated. Most important, we will teach you to become storytellers. Today’s students will determine the future of journalism. That’s an awesome responsibility and an incredible opportunity. Don’t hesitate to start the adventure now. No journalism class is larger than 20 students, and many are smaller. In all of the writing courses, students have frequent individual conferences with their instructors in addition to the class time, a technique pioneered at UNH and now used around the world (though rarely in journalism education). The small classes and constant instructor contact are among the reasons UNH journalism grads are so loyal to the program and keep in touch with one another -- and keep hiring one another -- for years after they graduate. Whether you want to work in print, broadcast, or online journalism, the skills you learn at UNH will get your future started. Can I minor in Journalism? There is no such thing as a journalism minor at UNH, but you can be an English minor and take mostly journalism courses. All you need for an English minor is five English courses: two numbered in the 500's and three numbered 600 or above. So if you want to concentrate on journalism, take ENGL 534, 21st Century Journalism: How the News Works as one of your 500's, and then any three journalism courses you want. We're also happy to have you take journalism courses even if you're not an English major or minor. The English/Journalism major at UNH requires that you do an internship, usually as a full-time reporter or editor at a daily newspaper, for one semester or a summer. (Magazine, online and broadcast internships are also possible – keep reading.) The experience will improve your writing and help you decide whether you want to be a journalist. You'll also come away with lots of clips – published stories – which are essential in looking for a job. And you'll have a blast. Most students find the internship the most valuable part of the journalism program. An internship is exciting, rewarding and fun. But it’s not easy. Full-time journalism work is demanding and never runs only from 9 to 5. On the other hand, it's interesting and important work that changes every day, which is more than you can say for most jobs. Some of the places where we send interns are not within commuting distance of campus. You'll be expected to have a car, to move to the news organization’s community and find a place to live, and to be available for work whenever the organization needs you. Part of the experience is becoming an independent professional, and it's hard to do that if you're returning each night to your parents or your partying roommates. To do an internship, you don't have to take a blood oath to stay in journalism forever. Nobody knows what they want to do with the rest of their lives, so it's unrealistic to think you'll know that as a college student. There are a million paths you can follow with the experience and clips you’ll get from an internship. (Check out our Alumni page for an idea where our graduates go.) But if you're not at least seriously considering a career involving writing or editing, you may have trouble finding the motivation to do the work an internship requires. The journalism director takes applications in October for spring internships and in March for summer and fall internships. You'll hear frequent announcements in journalism classes and receive them by email, plus we post notices around the English building as the application deadline approaches. In addition to having taken the required courses, you need clips (published stories) to apply for an internship. So start publishing in the student newspaper – or anywhere else – as early as you can. Editors know that college is the easiest place on earth to get your work published, so "Yeah, I like to write, but I've never actually done it except for classes" is not going to cut it in an internship interview. Working your way into an editing position at a student publication is better still. If you're thinking, "I published plenty of stories last year," we advise you to dig out those clips and look them over. Chances are, they won't look so good to you this year because your standards have risen. Publish new stuff you can be proud of. When you're deciding where you'd like to do your internship, use your journalism skills and do some reporting. Don't operate on assumptions or random rumors; get the facts. Talk with the internship director and with students who have done various internships, and see which places sound most interesting to you. We try to accommodate students in the places they want to go. We can't guarantee you your first choice, but you can't make any choice unless you have the info. If you want to go to a newspaper, magazine, broadcast station or website that UNH doesn't usually work with, you can set up your own internship. See the Placement section below for some places to "shop" for internships. How to set up your own internship: First, get as much specific information as possible from the company on what your duties will be and how many hours per week you will work. For your own peace of mind, ask to talk to previous interns who have worked there. (What the supervisor says that interns do may not be the same as what they actually end up doing.) By the middle of the semester before you want to do the internship, give the UNH internship director all the information you've collected, plus specific contact information so that she can talk with the person who will be supervising your internship. We want to make sure you will be doing real work, not busywork, and that you will receive training and support. Together, the three of you will decide how many credits should be awarded for the internship. 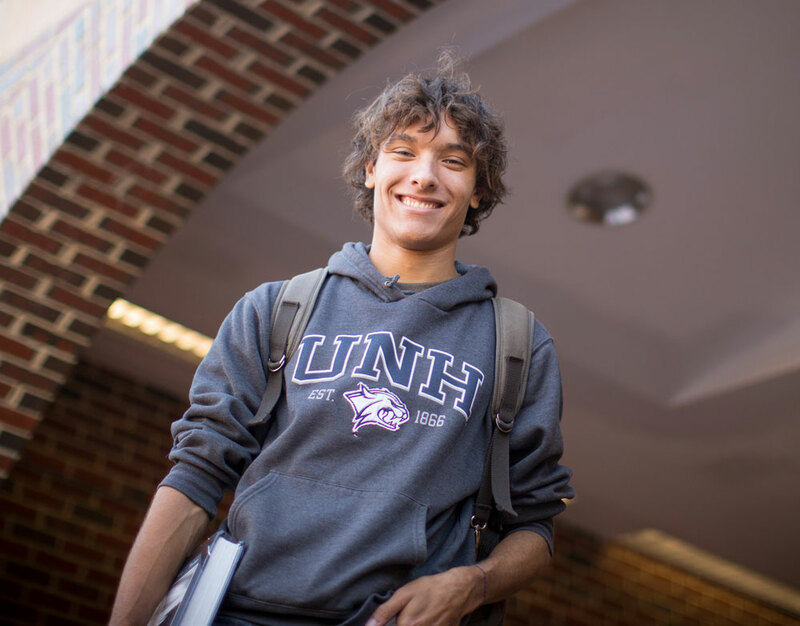 If you are applying for a UNH internship and also applying for other internships on your own, you must include this info on your UNH internship application. Be aware that you may face a collision of deadlines if the non-UNH internship hasn't reached a decision on your application by the time the UNH internships have to be settled. In that case, you'll have to choose. When you intern at a place where UNH doesn't usually send interns, you're taking a chance. 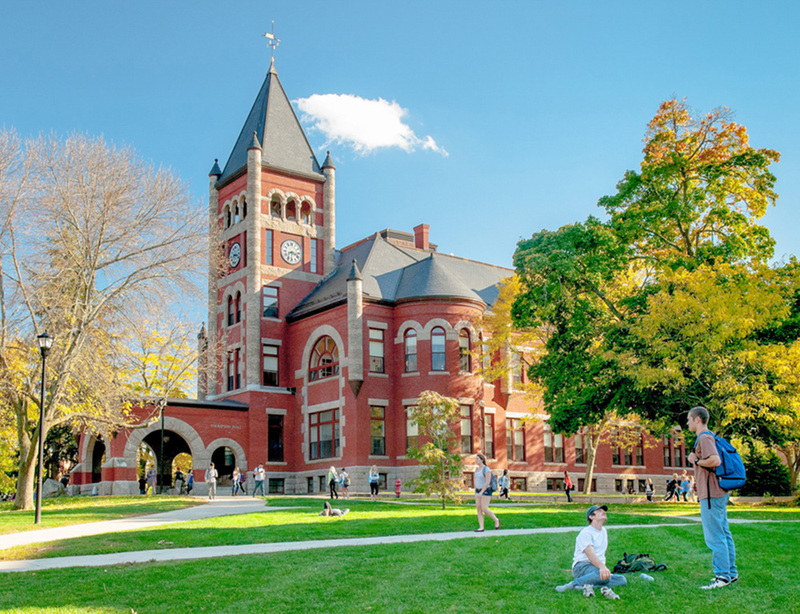 The internship could be absolutely terrific, and many have been – in fact, some of our continuing internships started with one UNH intern who went to that place and did so well that the editors wanted more UNH students. On your own, however, you might encounter editors who don't let you do any of the things they promised in your interview. You're welcome to take the chance if you've done your homework, and we'll help you in any way we can. We just have to warn you that we have much less control over what happens on a non-UNH internship. Any number of credits under English 720 is enough to graduate with a journalism major, so if you find a broadcast or online internship that wants you, definitely talk to the journalism director about it. Note, however, that most UNH grads who have gone on to magazine or broadcasting careers started by doing a newspaper internship, which broadcaster John Chancellor has called the world's best graduate school. It’s simple: The more reporting and writing you do, the better you get and the more clips you have to show. The English department also has a course numbered 620, Applied Experience, through which you can get credit for all sorts of non-journalism internships – such as book publishing, museum work, public relations for nonprofit agencies, etc. – that involve writing or editing. Pick up the form in the English department, find any English faculty member to be your adviser, and devise an academic component for the internship. (You get experience from working, and you get academic credit for thinking about the work and doing additional reading to put it into context.) You can arrange this type of experience directly with a company or through listings maintained by UNH Career and Professional Success. An English 620 internship does not qualify you to graduate as a journalism major, but it's a great chance to sample other uses for your writing and editing skills. Many journalism majors do a news internship under English 720 and some other kind of internship under English 620 as well. Definitely aim to graduate with as well-rounded a resume as you can. If you manage to secure a journalism internship before you've taken journalism courses at UNH, you have the option of using English 620 to get credit. See above for info. This can't be the official journalism internship for your major because that course, English 720, requires a B in English 621 and English 622. But again, all experience is good experience, and English 620 allows you to get credit. You can also use 620 if you get another internship after you've already done English 720 for 16 credits (the max allowable). You must receive at least a B in English 621 Newswriting and English 622 Advanced Newswriting before doing a reporting internship. English 722 Feature Writing is also strongly recommended. If you want to do an editing internship, you'll need to be doing A work in English 711 Editing. You may apply for the internship while you are taking 622, 722 or 711. You will need published stories to bring to your internship interview. More on that below. And you need a reliable car and a valid driver’s license. Everyone cannot go during the summer, and everyone cannot commute from Durham. You've known since the moment you arrived at UNH that not many news organizations exist near campus, and you've known since the moment you declared a journalism major that you were going to do an internship. So it should not come as a surprise that you'll need to be flexible. If you choose to go in the spring or fall semesters, you'll have a far greater chance of getting one of your top-choice places than you would during the summer, just because more students are competing in the summer. When you go out on an internship, you represent UNH. Meeting class deadlines and acting ethically while you’re in school, not to mention getting out of your chair to do reporting and get published, are the ways you convince us that you’ll be a good representative. Most students have no trouble with any of this – we’re proud to send them out. But if you find yourself wanting to argue, "OK, I’m a slacker in school, but I won’t be that way at work ... " stop and think: What evidence would make anyone believe you? Only some official UNH journalism internships pay. But all the internships offer invaluable experience. During your internship, you’ll gain confidence, hone your skills, and gather examples of your work to show prospective employers. In the job market, you’ll be ahead of those who haven’t done internships. For a full-time internship, you can receive 16 credits during the school year or 12 credits during the summer. (Summer is shorter, hence the difference.) If you have compelling reasons for doing only a part-time internship, you may be able to arrange one for fewer credits, but try to go full-time if you can, just to get the full experience. Many of the best assignments on your internship are the ones you'll get just because you happen to be in the newsroom when something happens. The less often you're there, the smaller your chances of those happy accidents. UNH requires all students doing internships in any field to pay full tuition for the credit. Certain student fees are waived if your internship is more than 75 miles from campus. Most financial aid packages apply to internships because you're still registered as a student. To save money, do the internship for only as many credits as you need to graduate. Please make every effort to do a full-time internship so that you get the full experience (see above). But completely aside from how much you're working ... if you really don't need 12 or 16 credits to graduate, don't pay for them. Below 12 credits, you become a part-time student, and both tuition and fees decrease. Look into this – but if you receive financial aid, investigate whether it will still apply if you go part-time. Please remember that you will be getting paid for your work, and that the internship will pay big benefits later. The UNH journalism director will be in frequent touch with you and your editor during your internship. Your supervisor will use a written form to evaluate your work in the middle and at the end of your internship, and will discuss those evaluations with you so that you can make use of the information. You'll meet with the journalism director at least once during the internship, and you're always free to call or email if you have problems. We also set up a discussion board where interns can communicate with one another. You will write a paper at the end of the internship, and you'll be graded for the internship course (English 720). Lots more information on all of this comes your way once you apply for, and get, a UNH internship. Talk with the internship director about how many credits are appropriate for the work you'll be doing, and how many you need to graduate. NH1 News Network is looking for an intern for its digital department. The position will be for 20 hours per week, with a flexible schedule – but will include nights and weekends. The position also pays $8 per hour. The intern will help create news content for the web and possibly content for television as well. The intern will work closely with other staff, will monitor NH1 social media endeavors, and will work extensively inside the website’s content management system. We are looking for a college student majoring in journalism or communications. Please send a resume, examples of previous work, and a list of references to NH1 Digital Content Manager Kevin Deane at kdeane@nh1.com. Experience writing for the web is a plus. The Keene Sentinel is offering a summer newsroom internship (internships will probably be offered in the fall and spring too) that will run from the start of June until the middle of August. Students report, write, cover events, shoot photos and video, post to social media, story plan and work collaboratively in project settings. The staff seeks people who are smart, passionate and good on their feet. The intern will work 30 hours a week. It's important that the candidate have access to transportation and that he/she be willing to work mornings, and some nights and weekends. Please contact Lisa Miller if you are interested in applying for this internship. New summer internship with New Hampshire Business Review through the Carsey Social Innovation Internship program at UNH. An intern at NHBR would be a full member of the editorial staff, covering general business and state government news. In addition, the intern would spend much of his or her time writing stories both for print and digital use about the various ways New Hampshire for-profits and nonprofits are exploring the intersection of business and social mission. Because NHBR has a small editorial staff, interns won't feel as though they're being lost in the shuffle of the newsroom. They would work directly with all members of the staff in developing, writing and editing stories. The news organizations listed below are the ones to which UNH most frequently sends interns for writing, editing and photo positions, for print or online. Many other news organizations take UNH interns occasionally, when they need people or when we have students to spare. If you meet the requirements for a UNH journalism internship and you're interested in one of the places below, please do not contact the editor directly. Apply through the UNH journalism director. The editors of these publications trust us to send them good candidates; they don't want to interview dozens of students. The Telegraph of Nashua, N.H., a 27,000-circulation daily (32,000 Sunday), has several internship opportunities for qualified college students. The length of hire is usually one college semester – spring, summer or fall. Candidates must be able to provide their own transportation, and work a 40-hour week, to create content and/or present content in print and online for the company's various publications and Web sites. News Reporting Intern (summer, fall, spring): The staff writing intern covers breaking news, features and scheduled events as well as doing data gathering and investigative work. Interns works closely with other reporters and editors and are expected to develop their own story ideas in addition to those assigned. This is a supervised general assignment position with a schedule of Tuesday through Saturday, mostly days with some evening assignments. Sports Department Intern (summer, fall, spring): Main responsibilities are to edit copy, write headlines, design sports pages and post content on the company Web sites. Knowledge of Quark, Photoshop and Freehand would be useful but can be taught. There could be occasional opportunities to write, but primarily this is a desk position, scheduled Friday through Tuesday from 4:30 p.m. to 12:30 a.m. Copy Desk Intern (fall, spring): Main responsibilities are to edit copy, write headlines, design news pages and post content to the company Web sites. Knowledge of Quark, Photoshop and Freehand would be useful but can be taught. Schedule is Wednesday through Sunday, from 4:30 p.m. to 12:30 a.m. Features Department Intern (summer, fall): Work with and learn from experienced editors while writing about people, trends, events and community news for The Telegraph's daily feature sections and Web sites. The successful candidate will possess an inquisitive mind, strong writing and interpersonal skills and a willingness to tackle any story. Experience with multimedia is a strong plus. Schedule is Monday through Friday, regular business hours, with occasional weekend work. Photo Intern (fall, spring): Work with award-winning photojournalists on digital photography and multimedia projects for print and online delivery. Preference will be given to those candidates with an existing portfolio of still photographs and multimedia work. Schedule is Tuesday through Saturday, regular business hours, with occasional evening assignments. WNHN seeks an intern to work with radio host Arnie Arnesen out of our studios in Concord. We're looking for a writer/producer intern who follows state and national politics who can help develop topics and guests for Arnie, as well as working on other talk programming at the station. We syndicate The Attitude with Arnie Arnesen nationally via the Pacifica Network. Her show airs daily between 11 a.m. and 1 p.m.
No coffee fetching here. You're a staff producer creating content on a daily basis. If you want to go to a newspaper, magazine, broadcast station or website that UNH doesn't usually work with, you can set up your own internship. Almost any news organization might be willing to take an intern, though some do it only in the summer. The Applying section tells you how to set up your own internship. This section gives you some ideas on where. We can't guarantee that these places will count as your UNH internship. That depends on the responsibilities you're given. Dow Jones Newspaper Fund summer internships: business reporting, news copy editing, sports copy editing, and online journalism. Also has a list of other internships. American Society of Magazine Editors summer internship for students who have just completed their junior year. Note that each school can recommend only one candidate. Kaiser Media Internships in health reporting. Institute on Political Journalism summer internships. Scripps Howard Foundation semester in Washington. Boston Globe internships. Globe internships are open only to students who have done a previous newspaper internship. The English Department has other awards and scholarships for which journalism majors may be eligible. The Donald Murray Visiting Journalist Program is named in honor of the late Donald Murray, the Pulitzer Prize-winning writer who started the UNH journalism program in 1963. Terry Williams ’80, publisher of the Telegraph of Nashua, led the fundraising drive for the program, with primary support coming from The McLean Contributionship and from UNH journalism alumni. Sponsored by the journalism program, the Donald Murray Visiting Journalist Program brings accomplished alumni journalists to campus each year for week-long residencies during which they conduct classes, work with students and student media, and give a public lecture. The Visiting Journalist program is sponsored by the UNH Journalism Program, the UNH English Department, the Telegraph of Nashua and the McLean Contributionship. Whether it's time, money, or advice for journalism students, we welcome your contributions. We rely on our network of alumni and friends to give back to the program that served them so well. Below are a few suggestions of ways you can help. If you have other ideas, great! Just let us know what you'd like to do. If you or your company is interested in contributing to the Michael Kelly scholarship fund, the Donald Murray Visiting Journalist Program, or any other aspect of journalism at UNH, contact any of us on the journalism faculty or click here to make a gift online. Choose "Other" and type in the name of the fund to which you would like to contribute. You may also give anonymously or in the memory of a loved one or friend. We can’t say enough about what Don Murray did for UNH and for the journalism program he founded, not to mention his enormous impact on the teaching of writing around the world. After Don died in December 2006, his daughters generously decided that donations in their father’s name should benefit the UNH journalism program. You can contribute to the Don Murray Endowed Journalism fund to keep the journalism program strong. Our students can learn a lot from you and your real-world experiences in the newsroom, boardroom and beyond. If interested, please send an e-mail to Lisa Miller or call her at (603) 862-1313. Take a moment to scan our Alumni Roster and help us keep in touch with our former students and friends!